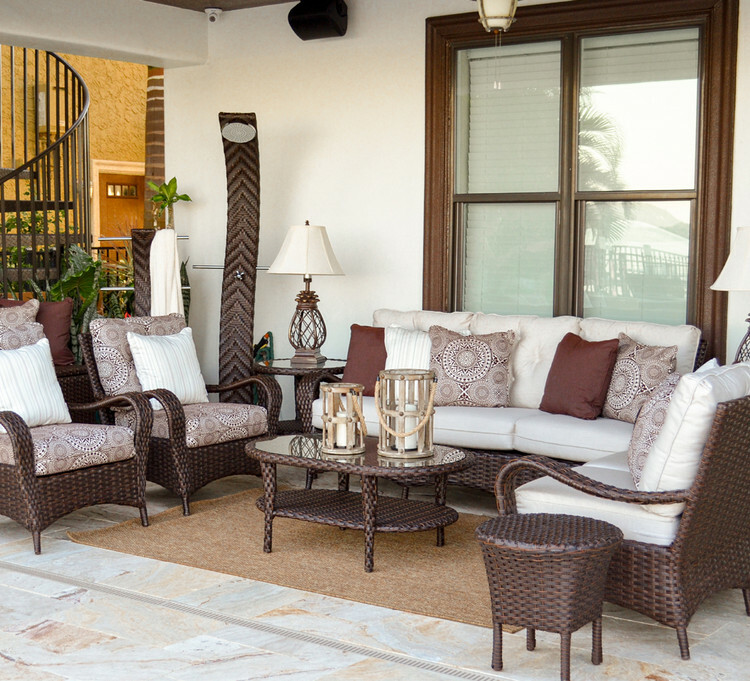 Elegance, durability and ultimate style are all wrapped up in the Alexandria Collection by Watermark Living™! Engineered for maximum durability and strength, the synthetic UV resistant wicker strands are hand woven over powder-coated aluminum frames that will not rust! 100% finished, welded and woven by hand, this series creates a true artesian collection. The graceful curved arms and tailored cushioning are the classic pairing that create this timeless look.